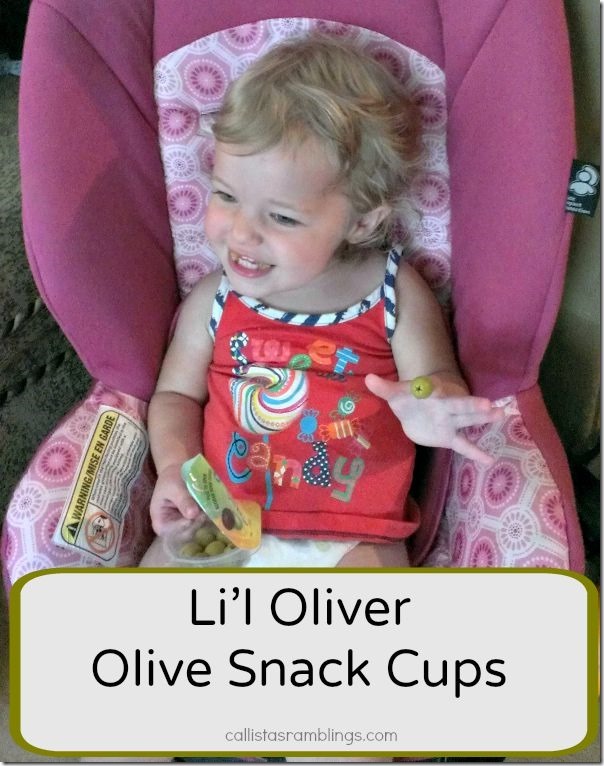 Disclosure: A member of my review team received some samples of the Li’l Oliver Snack Cups to test out and review with an honest option. Are you looking for another healthy snack your kids will love for their school lunches? 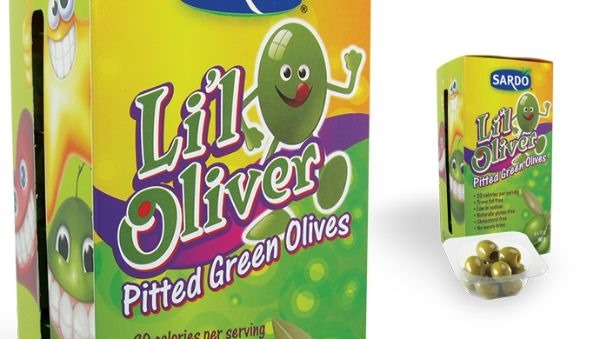 Sardo has come out with a product called Li’l Oliver. It’s pitted green olives in a little snack cup that is just perfect for bringing to school or even eating at home. These olives are all natural, sugar and fat free, peanut and cholesterol free, gluten-free, artificial flavours and colours free and no trans fats. It’s JUST olives. They come in boxes of green or black olives and there is no brine in them. Just pop them in your mouth. They come in a box of 6 cups and they come with stickers and you can buy them at most grocery stores in Canada. The olive is technically a fruit? The Canada Food Guide recommends children under 13 get up to six servings of fruits and vegetables a day? About 16 olives, roughly two packs of Li’L Oliver, equals on of those servings. Eating olives boosts your iron intake? Iron plays a key role in keeping you healthy and happy. Move over apples, make room for olives! Olives are high in oleic acid, which studies have shown reduces the risk of cardiovascular disease? Olives are rich in phytonutrients, bringing added benefits for our cardiovascular, respiratory, nervous, muscle, immune, inflammatory and digestive systems? Oleuropein, found exclusively in olives, is an antioxidant nutrient that has shown to decrease LDL cholesterol and protect nerve cells? If your child loves olives, this would make a great snack for school. We are going through them like crazy at our house. As you can see from the first photo, even the baby loves them!